City of Los Angeles, USA. In the heart of the city, undocumented Mexican immigrants are hunted by the police and struggle to earn a living without losing their identity. From Chiapas to Quintana Roo, from Yucatan to Oaxaca, from Nayarit to Colima, from Michoacan to Guerrero, from the State of Mexico to the heart of the country and the enormous metropolis known as Mexico City, we follow the steps of this journey that traces the face of the "other" Mexico, made up of the humble and simple people, a face much different from the one TV shows us every day. It is a journey that dares to "start building the image of the people we really are." as expressed by Subcomandante Marcos. 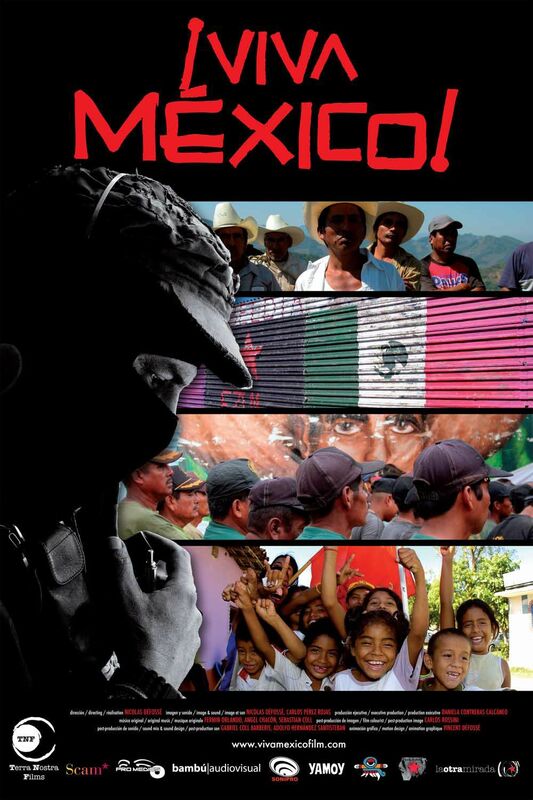 This challenge is not without risks... by uncovering Mexico's dignified and rebellious face, irrigating the seeds of rebellion and solidarity of an entire country, this journey is a provocation against those who control the country's economy and it's image. What starts as an isolated murmur will become a clamor of hundreds of thousands of voices, ¡Viva Mexico! How will those in power respond? Audience Award. III Festival de la Memoria. Tepoztlán, Mexico. Audience Award. 27th Latin American Film Festival. Bordeaux, France. Audience Award. VI International Human Rights Film Festival. Sucre, Bolivia. Honorable Mention. José Rovirosa Award for Best Mexican Documentary of 2009. UNAM, Mexico. Salvador Allende Award. VII Latin American Film Festival of Brussels. Belgium. DVD available with subtitles in English, French, Portuguese, Italian, German, Greek.